I wake up too early this morning, leaving myself unnecessary extra-time to get ready and packed. 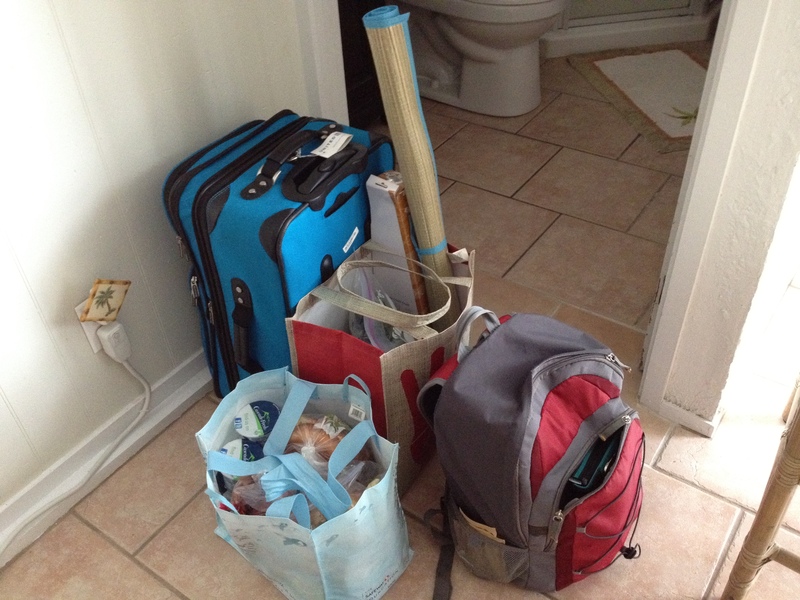 I debate which food to bring along, and how on earth I’m going to fit all my new souvenirs into my bags. Eventually I work it out so I have only 2 new recyclable bags along with my original two. It looks like they’re multiplying. While I wait for the taxi I go on facebook and find out, 6 hours later than everyone back home, about the horrible shootings in Colorado. I’ll be praying for the victims and their families all day and for the rest of my trip. I can’t believe something like that could have happened. I’ll proceed with my blog because I’m keeping a journal anyway, but I also hope people, including myself, are taking the time to reflect on what’s happened and pray for those who are affected by it. I have the same taxi driver as I did yesterday and convince myself to keep an open mind. He talks about his ex-girlfriends and drinking beer, but we also talk about sailing (and fishing) and hiking which is not too bad. He takes me to see Pali Lookout which is just off the highway when I say I haven’t been there, which is pretty nice. 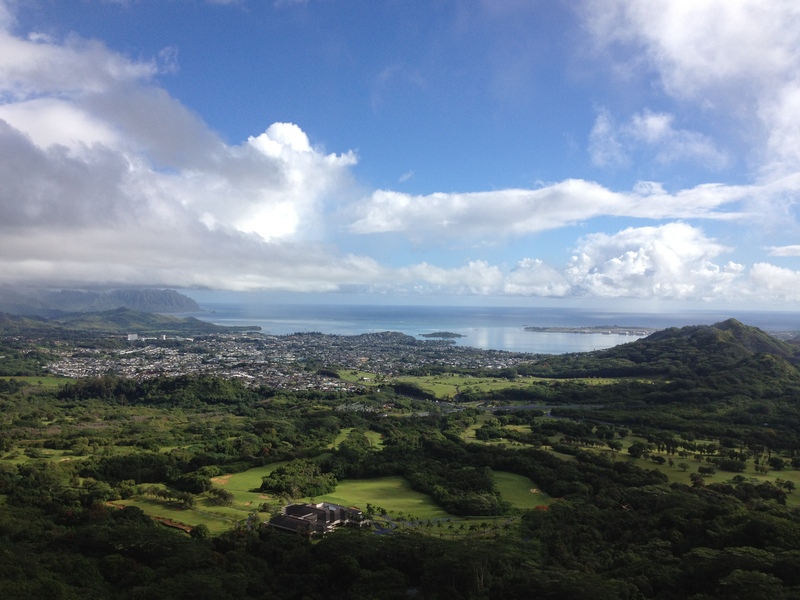 It’s a beautiful spot where you can look at the windward side of the island from a high up spot. Soon we’re back on our way and he gives me a little history lesson about how King Kamehameha pushed back the opposing tribes from two of their defensive lines and pushed them off the cliff at Pali Lookout. Then he says, “but I hate history.” Funny guy. Soon we’re at the hostel, and the woman at the desk remembers me. She lets me check in early at 8:30 (although I thought check in was all day starting at 7:30). She walks me up the stairs to the second level, room 16. I open the door to a deadbolt and hear grumbling. A 40 or 50 year old man in his underwear answers the door. Um… I’m a little confused here. The woman tells the man they have a new room for him and that he can move into that room at 11. For the time being she tells me to drop my things off in this room. Ok. I’ll walk around with my backpack and laptop for a while then. 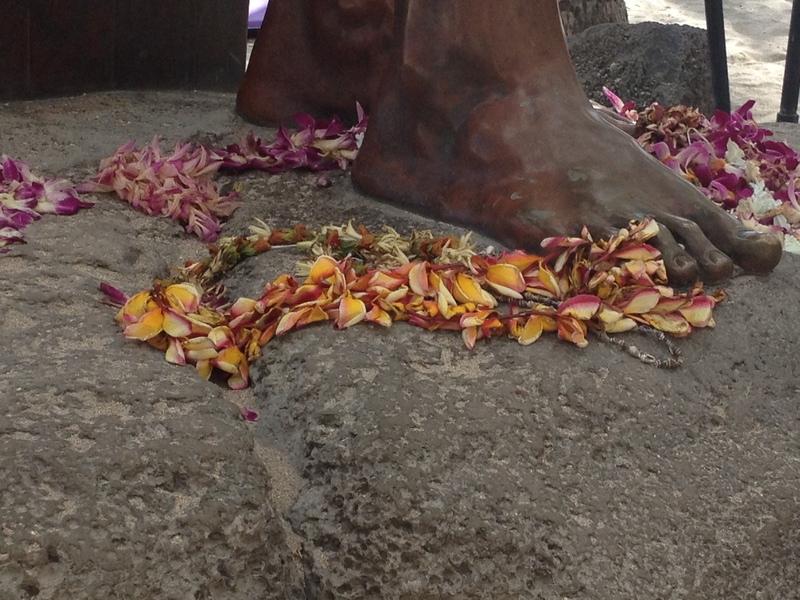 At 10 there is a free hula class at the Waikiki Shopping Center so I begin my hike that way. I walk around the plaza for a while as I wait for the time to pass and soon it’s 10. Hula lessons are up on the third floor in a pretty secluded area. Nice, because no one feels self conscious. There’s a little stage for the teacher and it’s mostly Japanese tourists in attendance. Come to think of it, I was probably the only white person there. The teacher goes through some of the basic steps with everyone, practicing them each with different songs, then she teaches us a hula ‘auana dance (modern hula). The first one I learn at the 10:00 class in “That’s the Hawaiian in Me.” I stay after eating lunch for the 12:00 class to learn “Keep your Eyes on the Hands.” They’re both a lot of fun, a good workout, and generally capture the essence of hula auana. 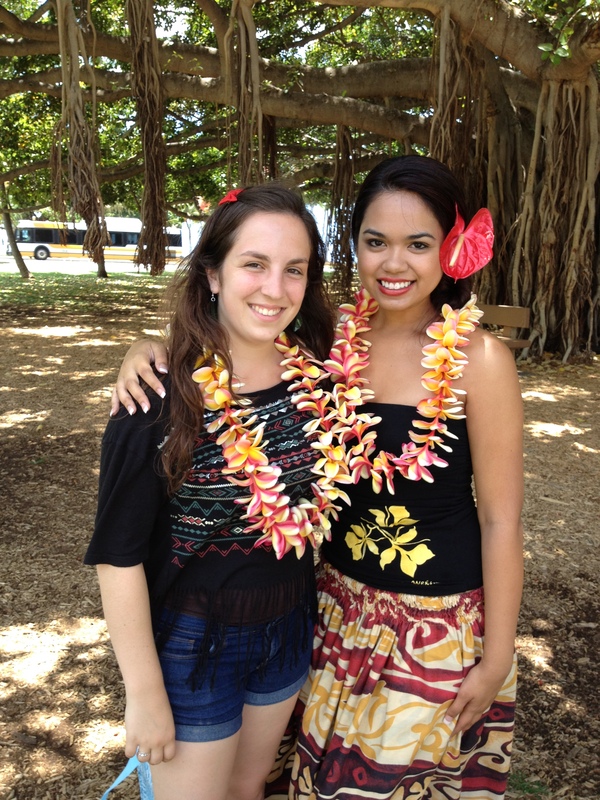 I’m glad to have at least two hula auana dances in my repertoire for when I go back to OWU. I truck it back to the hostel with a newly purchased carry on and lock in my hands. I’ll use the lock to lock up my laptop in my suitcase when I am out of the room and the carry on for all the souvenirs that I can’t fit for the flight home. When I get back the man is gone. “Your roommate moved!” the check-in woman says. I smile and go up to the room to get my things together. I dig through my suitcase and extract a mound of dirty clothes. Taking them down to the washer I have to remove someone’s sheets and put them into the dryer. Hopefully that was ok, I know it would be at IF house, but maybe not here. Later I see the check-in lady, whose laundry I’m guessing it is and let her know what I’ve done. Phew, she’s grateful. Having finished my laundry and moved it over the dryer, I decide to go to the beach until it’s ready to be taken out. I coat myself in sunblock and do not take my shirt off my shoulders the whole time I’m there. I love the beach everywhere, but I’m starting to appreciate the windy beach in Kailua even more. We all know how I don’t like to swim…I swam today because it was so hot on the beach. 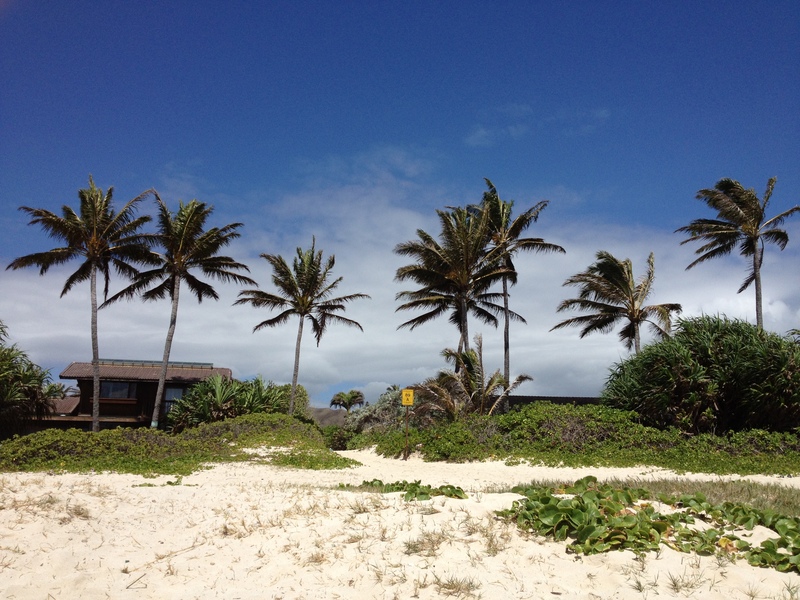 In Kailua the beach is never hot, even if it’s 90 degrees, because it’s just about the windiest place on earth. I take a shower back in the room and go to dinner at the Tiki Bar, my favorite restaurant from the beginning of my trip. I order the same Gluten-free Wasabi Pork Ribs and Virgin Lava Flow. It’s just as good, but I eat it much faster and don’t feel as good afterwards. There’s a live band tonight as well, more modern, and without hula, but actually pretty wonderful. They sing some classics with added ukulele. I finish dinner around 6:30 and watch the sunset from the beach at 7. I hang around until 7:45 to watch the fireworks show that happens every Friday from the Hilton Hotel. I can see perfectly from my spot on the beach and enjoy the 5-7 minute display with a group of French kids standing around behind me. When it’s all over I walk the short walk back to the Hostel. 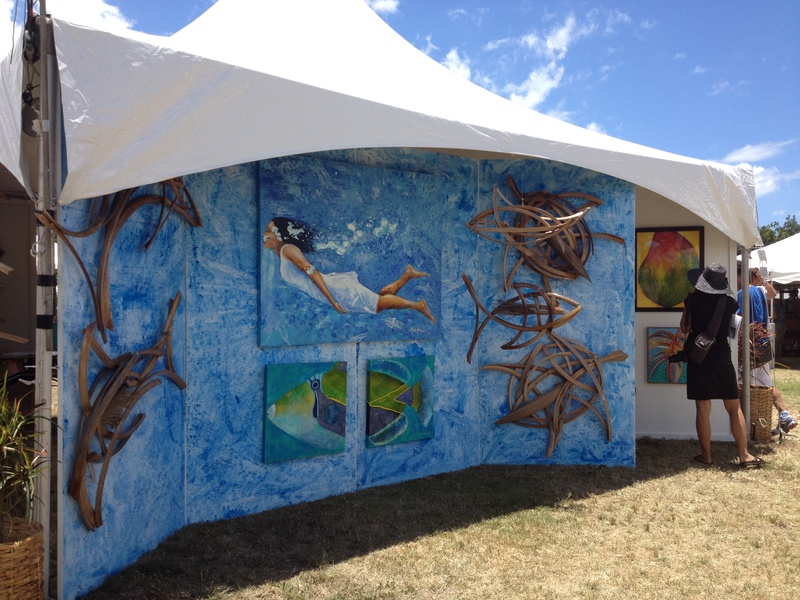 Tonight it looks like I will turn in early to wake up in time to take the bus to the Prince Lot Hula Festival tomorrow. Should be a very nice day! I’ll pack snacks and having a little picnic for one. This morning I wake up at the ungodly hour of 5AM. If I’m going all the way to Pearl Harbor today, I’ll be damned if I’m going to miss the window when tickets are still available. I’ve discovered that most days they are out of tickets around 10AM. The gates open at 7AM and it doesn’t close until 5PM. Better safe than sorry I guess, and just about every blog on the internet suggested arriving before 7AM. Because I can’t think straight enough to take the bus and manage transfers this early in the morning I take a cab to the USS Arizona Memorial. The driver asks me where I’m from. I say Boston. “Oh Boston. I love the girls in Boston. They’re really aggressive. They’ll tell you how it is. And I love that accent.” O good. The next 30 minutes or so are spent uncomfortably laughing at my driver’s pretty unfunny jokes. Another one he thought was pretty good was, “O culture? Ah…I say just put culture in a petri dish and let someone else analyze it. I’m living it right now! History? Ah…they say if you don’t know the past you’re doomed the repeat it? People live, people die. That’s it! I’m living right now, history’s not gonna change that.” Ok. You get the idea. I get to the ticket line around 6:45AM and there are probably 50 people in line already. When the gates open I get a ticket to the first tour of the memorial at 8AM. After doing all of things I can do for free (going through the little museums and walking around the memorial garden area) it’s about 8. The tour starts off in a little theater with very comfortable seats…uh oh. Let me repeat, I woke up at 5 this morning. I get a little dozy in the middle of the film, but for the most part it’s actually very good and keeps me up the whole time (a pretty big feat considering how tired I am). All of the footage is real, nothing is acted. It does a good job of setting up the attack on Pearl Harbor and the resulting war in 26 minutes (or something like that). After the movie ends we all get onto a navy shuttle to zip over the memorial. The memorial is built on top of the sunken USS Arizona which was hit by the Japanese torpedos in the first wave of attacks. The men on board were completely unsuspecting. There was a band concert that night so you can just imagine all the people enjoy some music in the theater being hit suddenly by an attack. Hundreds of these men are still onboard below the moment. The moment is also a tomb for these men and we are told to be respectful of that. The monument itself is an abstract, funky, white, open-air building that’s just above the ship. You can see out the windows of this structure onto the ship below. Pieces of the ship stick up above the water and you can see the top deck just below the water. Interestingly, the ship is still leaking gas. You can see the gas in the water. On a pamphlet I read earlier in the day they said they would do something about it if the amount increased and it became dangerous. I think gas leaking in general is pretty dangerous, but I guess they wouldn’t have put a memorial that thousands of people visit a day on top of it if it weren’t safe. At the end of the monument there is a listing of the names of those who died onboard the Arizona. I scan for any of my family names, in case there might be a relative we don’t know about, and, seeing none, take in more of the surroundings. There is a guard rail in front of the names and some people have hung lei on the post. That’s another thing I haven’t mentioned. At the graveyards around Oahu people often put lei down instead of bouquets and the same thing is done here. It’s very breezy on the monument and I walk around for a little while, happy to have the chance to be on the water and a little cooler than land temperature. When our launch comes back we board pretty quickly and head back to the museum. Because I have a lot to do today I don’t stick around for some of the other museums that cost money (although I would have liked to see the air force museum). 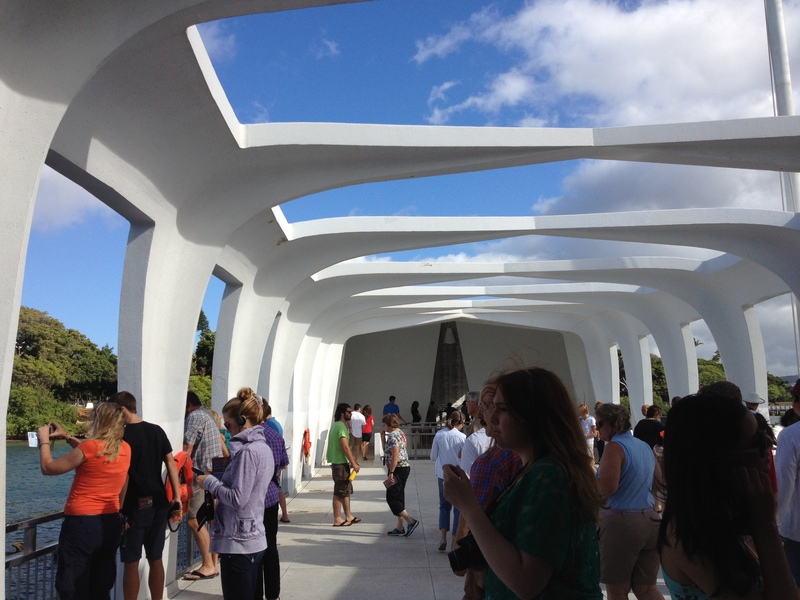 I think it’s really great that the USS Arizona Memorial is free for the public. They get you in the gift shop though to make up for it. I’ve already bought too many books and they get me on another one. I also buy a replica of a 1940s “Remember Pearl Harbor” pin, which has a pearl rather than the word pearl on the clip. I can’t help myself from grabbing a Rosie the Riveter pocket mirror on the way out as well and that puts me at $20 so I also get a free Honolulu newspaper from December 7th. 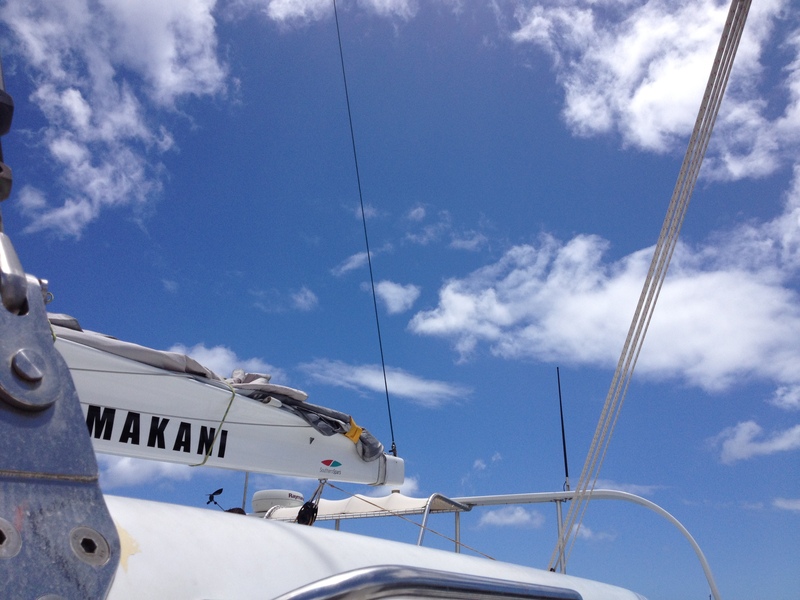 I take the bus back to Kailua, doing a transfer in downtown Honolulu and get back home around noon. I thought there was a convenient store next to the Safeway nearby where I could get a new duffle bag for another carry-on, but no such luck. 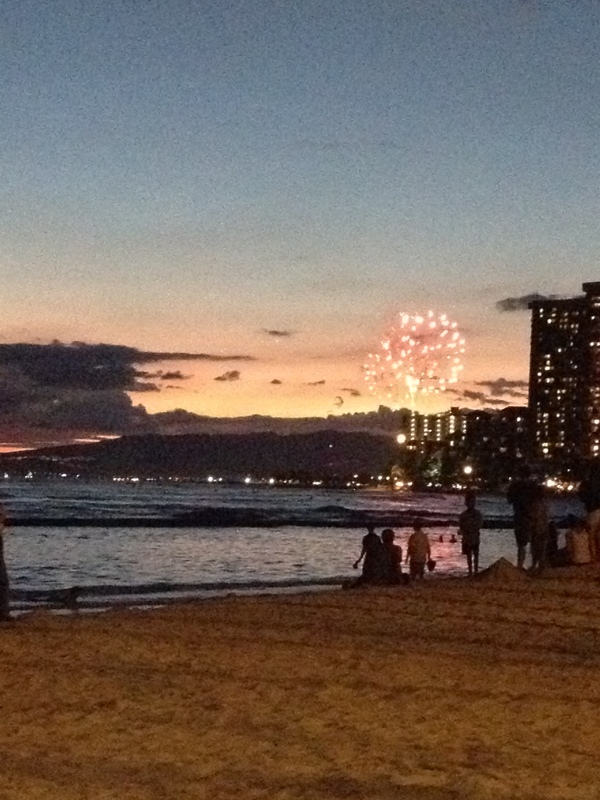 I’ll look in Waikiki tomorrow and just use recyclable shopping bags for the time being. I decide to go back to lunch at Cafe Julias at the YWCA a couple blocks over. Last time I was there I ordered take out, but today I want to have a chance to enjoy the beautiful architecture. I am given a seat outdoors and order some sort of mint/mango drink while I wait to order. After struggling to explain to the waiters what “gluten” is, and desperately trying to convince them to double check their hunches with the chef as to what I can eat, I order a delicious fish dish with chickpeas and pesto sauce. The food is delicious and by the time I’m done my waitress has figured out this whole “gluten free” thing. She tells me that the chocolate mousse is ok for me and I order that for dessert without any further problems. 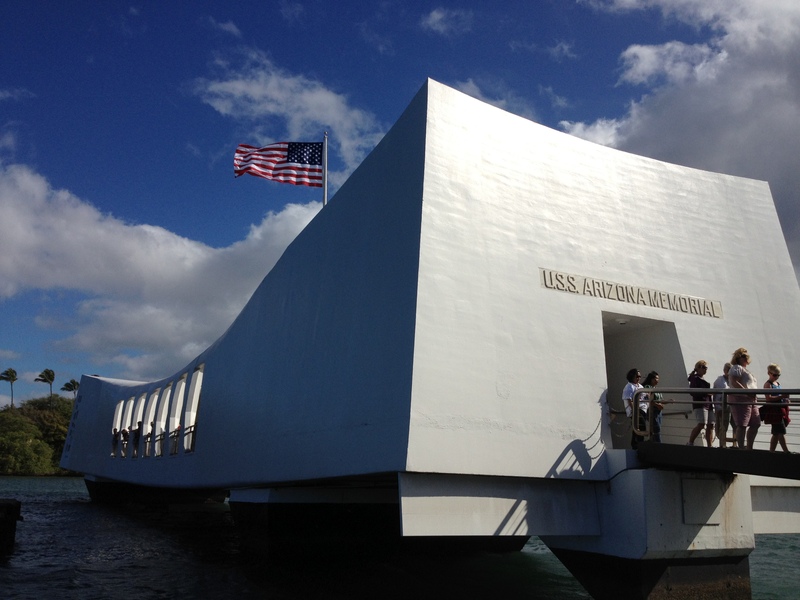 I had planned to go to Pearl Harbor at this point, but after a quick internet scan I find out that most tickets are sold out by 10:30 AM and that if you don’t arrive before 7 you’re screwed for the day, or waiting in a 2-3 hour line. 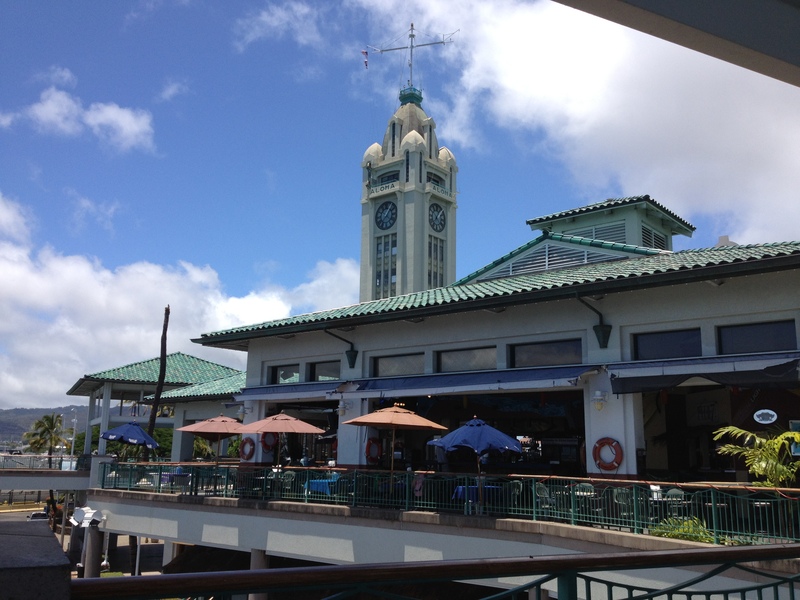 I decide I will go early tomorrow morning instead, and for now I will head to Honolulu Harbor–a truly beautiful place that seems to be underappreciated by tourists and locals alike. Both times I have been here now it has been almost empty, and I can’t fathom why. I purchase some souvenirs for my family and a hula skirt for myself in preparation for more hula classes (some of which require the proper attire). I take the bus back without the aid of my phone and even tackle a transfer that I know to be right, although my phone does not suggest it. Maybe I’m starting to get the hang of this (knock on wood). Back at home I go back through my finances and believe that I have a bunch of extra money. After planning many excursions for the last few days I give my dad and sister a call and let them know about my trip so far. By the time I get off the phone I’ve realized that I’ve made an estimation mistake. I don’t have as much money as I think, and scale down the plans I have left. At 4:45 I am picked up outside of the house by Auntie Annie, Ellie, Taddy and their father. 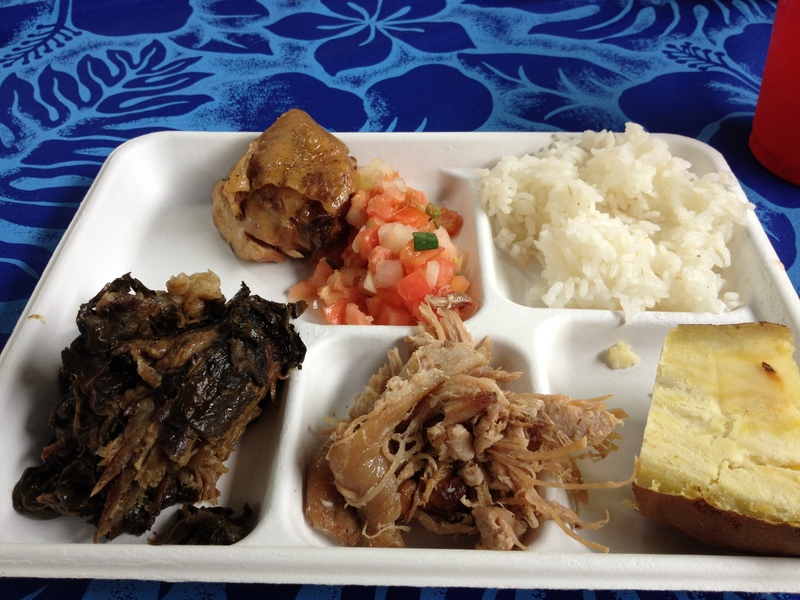 We drive to Punahou school early as Auntie Annie tells us how she used to sit at a lunch table with Obama. She laughs, “Although we didn’t really hang out together.” Punahou is close to Waikiki and it takes us around 30-40 minutes to get there. We drive through big stone gates to enter to Punahou campus which looks like a California college campus to me. It has some beautiful architecture and lush gardens. We drop of Ellie and her father and go off so that Auntie Annie can buy Ellie a lei for after the show. 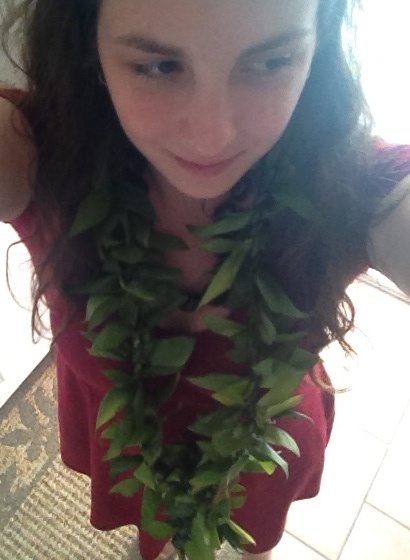 She gets her a fresh lei and her brother buys two bouquets for his sister. Soon we drive back and wait outside to go in to where Ellie’s dad has saved us seats in the front row of the balcony. When the time comes there is a mad rush in the doors as parents try to squeeze by each other (tonight is family night for the production). And I barely manage to follow Auntie Annie up to the balcony where we have, undoubtedly, the best seats in the house. As I’m turning off my phone I hear Auntie Annie say, “Rachel, we got this for you.” As I look up she is putting a cloth lei around my neck. I am so surprised! I tell her she didn’t have to do that as she pulls out a little picture frame for me as well. I am so happy and really grateful to have had the chance to be a little part of this family a few times in this past week. As we wait for the show to start I look around the theater. It has a very high ovular ceiling and the lights are hung on three ladders that connect at the top of the oval. It is a beautiful space. The set is pretty plain, although this is a middle school show. Finally the show begins. The students are incredible! I am blown away by the talent, especially singing of the boys and girls and we clap when we see Ellie come onstage. It’s Fiddler on the Roof Jr. so there are a few places where I’m ready to hear a song and nothing happens, but otherwise it’s quite a well-done production. 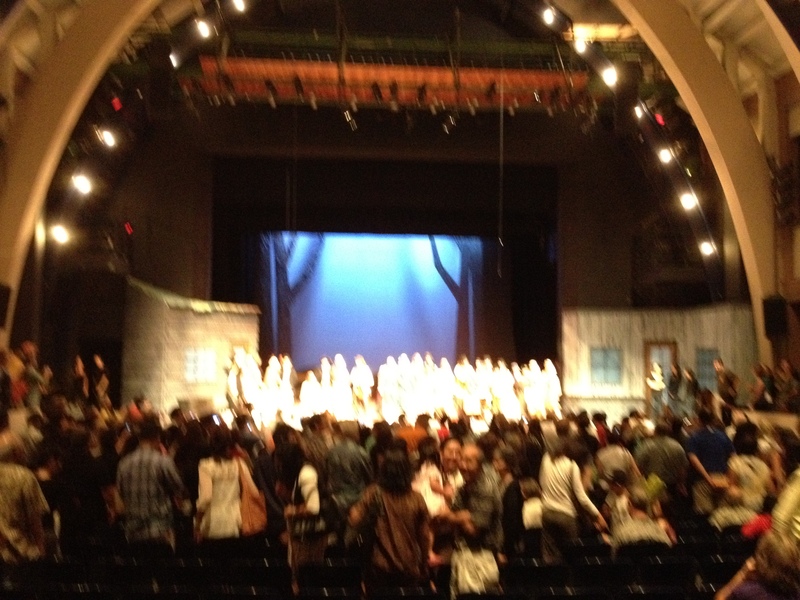 At the end of the show all the parents give their children lei, instead of bouquets for the most part and the kids can be seen happily hugging away because it is their last show and they won’t see one another for a while. As we drive home we talk about the show and the family sings along to the last Fiddler song they will listen to for a long time. They drop me back off at my house and Ellie tells me not to forget them next time I come to visit. I thank them for the whole week and for making me feel so welcome and make a mental note to send them a gift from Boston when I get home. Back in the room I am pretty exhausted, and because I am planning to wake up at 5AM to get to Pearl Harbor I go to bed pretty early. Tomorrow will be a day of trying to fit all my new things into my old suitcase and backpack…I’m worried I might have to leave things behind or buy a new bag. I’ll make a trip to the store tomorrow. I wake up this morning at 6AM and get ready for the day. Unfortunately, I don’t start soon enough and leave the house without snacks or sunscreen. 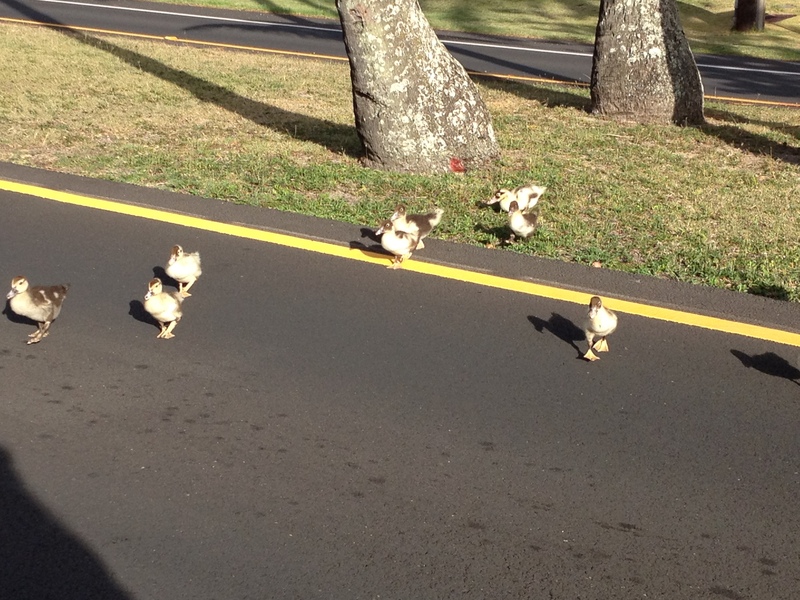 On the way to the bus stop I see a family of ducklings crossing the street and whip out my phone to record their jaunt. As soon as the phone is out they all start walking toward me and squeeking! One look at mama-duck has me on my way, though. I have to run to catch the bus as it pulls into the station again (I’m still underestimating how long it takes me to walk .7 miles to the stop). 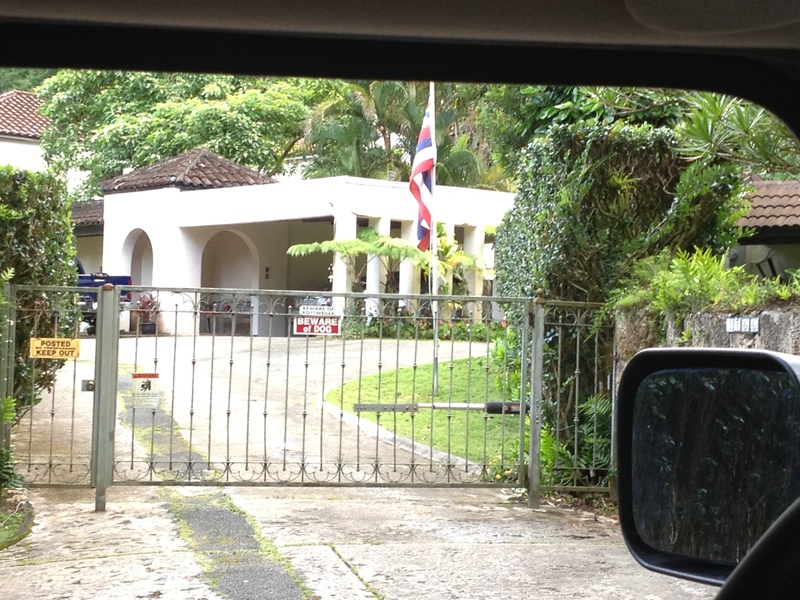 I get off near the Kailua YMCA where the Japanese girl’s tour bus will pick us up to drive us on a tour. I still am not sure what the tour will be like at this point. I had assumed it was a tour of Kailua downtown or something. One of the girls sees me walk by the bus and waves me over. She says, “aloha,” and we kiss cheeks. Soon the bus is on its way. A woman, about 30, sits down next to me and we talk quite a bit throughout the drive. She is fascinated by my project and asks if it is for a graduate program. I tell her no and she is even more impressed. I learn that she has two daughters, 5 and 7 and that her friend got her a ticket on this tour so she doesn’t really know anyone either. We get out at our first stop and are told that we will be going to four heiaus today. A heiau can be built for several different purposes, but all of them are marked with stones which have been carried by hand to the location. They were built by the ancient Hawaiians and many of them are being preserved today. In 1819 after the Hawaiian religion was destroyed many were deliberately ruined, while others have just fallen into disrepair. Each heiau is built as a place to ask different things of the gods. The first heiau is up a small hill they tell us. As we walk up the street I hear a girl from behind me ask, “You’re a theta?” I turn around and she points to her friend, “She’s a theta too.” The woman she is pointing to was one of the girls who was so kind to tell me what to expect when I went down to the ulupo heiau on the night of the private ceremony. It’s comforting to know I have sisters here in Hawaii too. We walk along the street up to the entrance to some woods. I look down at my flip flops. O well, onward and upward. It starts out pretty tame and the hills aren’t too steep, then suddenly we are in the depths of the woods climbing up a very steep, wet, and slippery trail covered with leaves. I can hear my dad’s voice in my head saying I didn’t wear appropriate footwear. O well, onward and upward. I make it to the top without falling, although a few of the older women do. About half of the group is wearing flip flops and roughly all of the group didn’t know what exactly we would be doing today. Some go barefoot, but I make it up with my shoes. 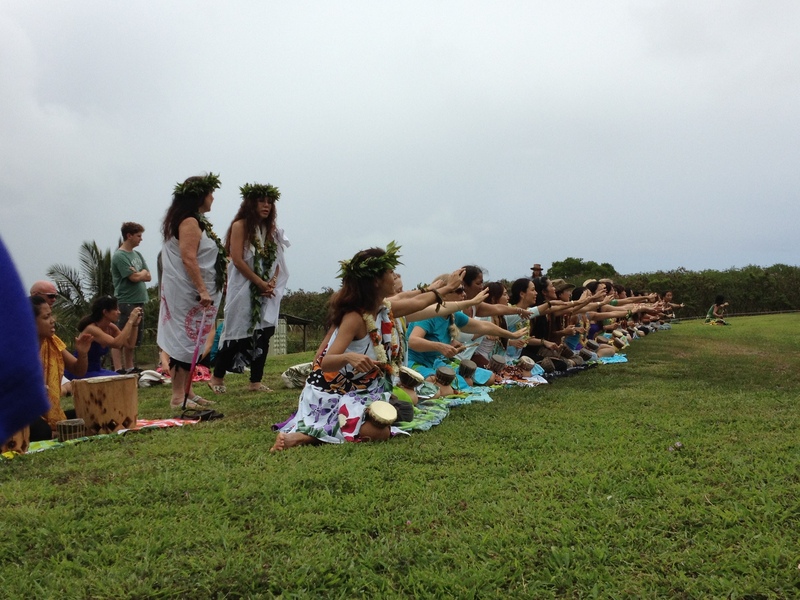 When we get to the entrance of the heiau the group chants together. Myself and some of the family of one of the girls don’t know the words and just listen. 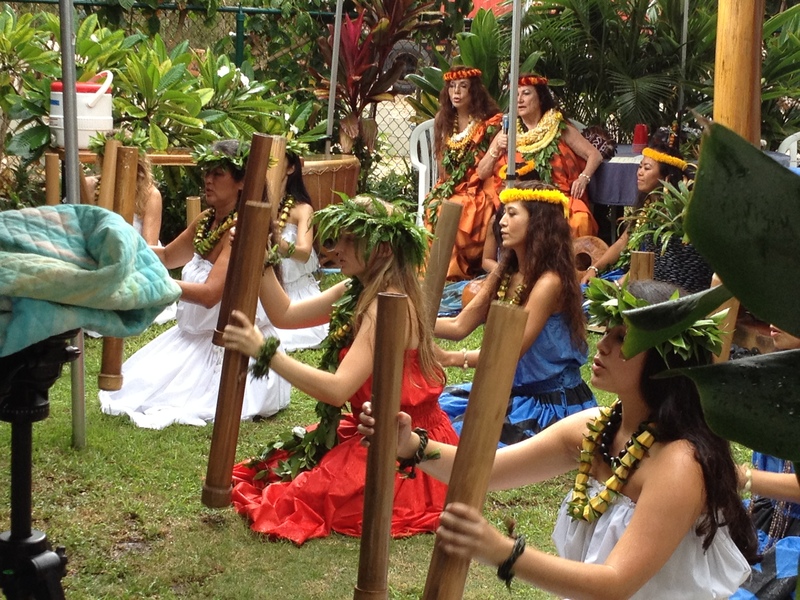 When the chant is finished they place a lei as an offering on the structure. We are told there are buried bodies underneath the heiau and that we are walking on sacred ground. Our tour guide asks for a blessing on us and we continue into the space. The tour guide tells us about their preservation efforts and we can see that a large portion of the heiau is overgrown.” All the weed pulling has to be done by volunteers,” she tells us. She tells us some of the legends associated with this heiau in particular and we get a chance to look around. It doesn’t seem like too long before we are going back down the slippery path to the van. By the time we get back it is already 11. We continue on to our next heiau, my favorite of the day. 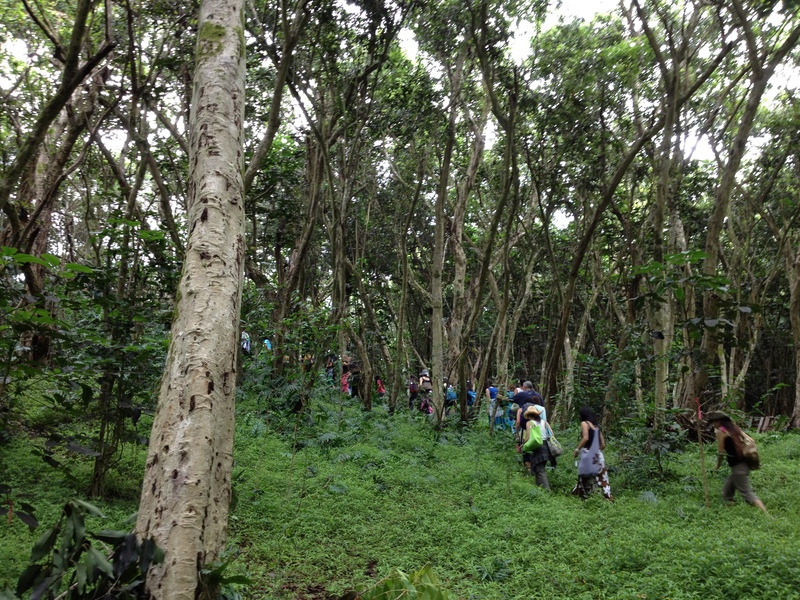 This heiau doesn’t require any bushwhacking and is much better maintained. We are told this heiau was used for human sacrifice. They sing their chant again before we enter and then we follow the Kumu Hulas in and watch as some girls place the lei offerings here. This heiau is called Heiau of One Thousand Drums so the girls do their drumming piece. They line up in front of the structure and tie the small drums to their right knee. 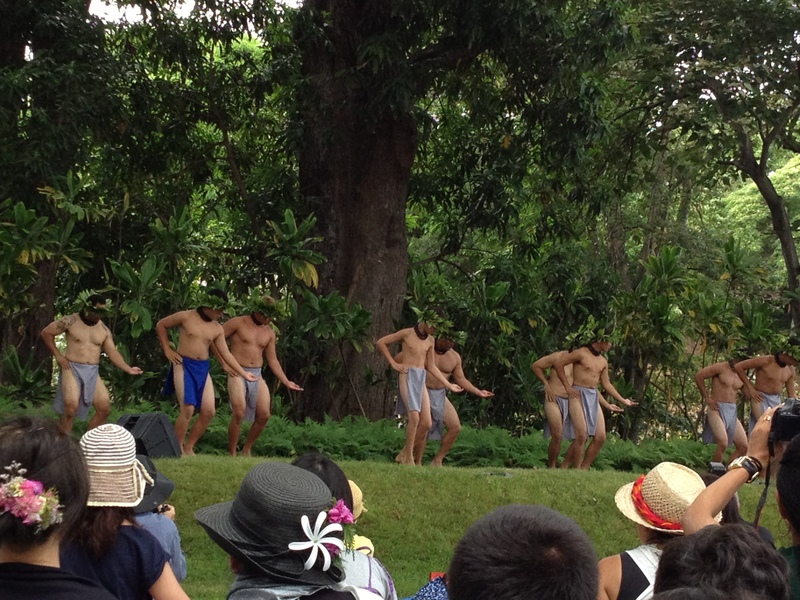 They chant and dance together and the woman from the heiau is almost in tears. She says she has never seen this piece in this location (where it was meant to be danced). We are shown around this heiau also and after an even shorter time they sing their farewell chant and we’re back on the bus. At this point it’s about 12:30 and everyone is famished. I would have thought we would go to eat lunch now, but no such luck. 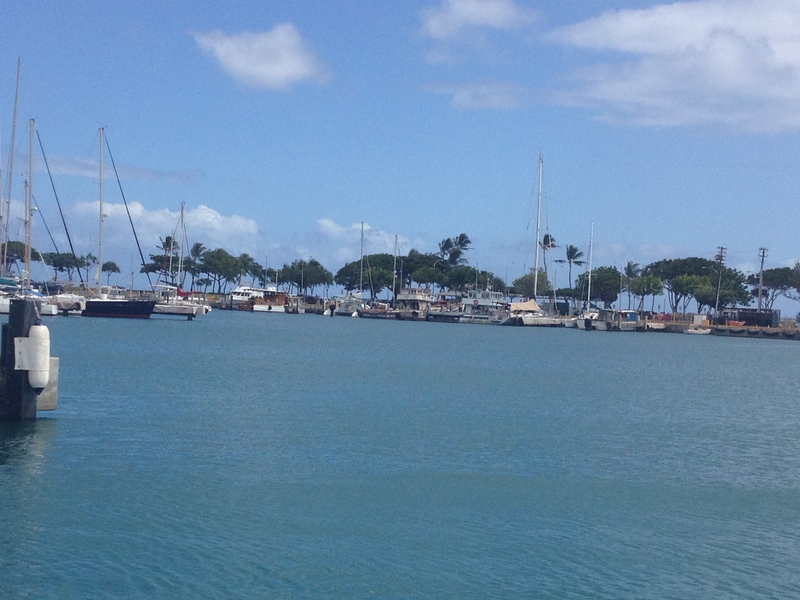 Instead we go on to the third heiau which is within a wildlife preserve. As we follow the guide through we learn more about animals and plants than we do about heiaus, but it is a beautiful area. They are similarly trying to preserve the area by going through to remove invasive species. 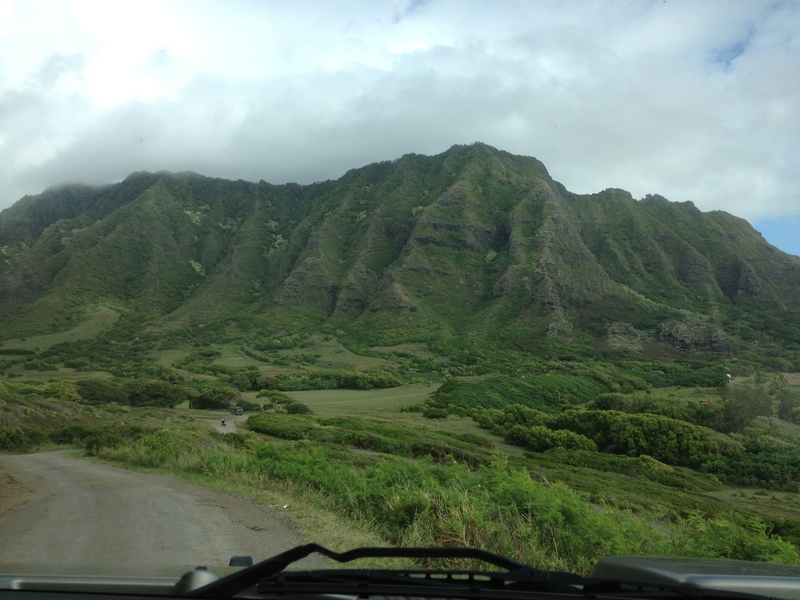 Our guide asks us why we think they also replant some of the few native Hawaiian plants. When no one offers the correct answer he says, “These plants were here when the first Hawaiians arrived and they effected the way the culture and the people developed. If we lose these plants entirely we are losing the Hawaiian identity.” That’s why it is so important for them to preserve the area. He says that this kind of work, clearing and deweeding on spiritual ground is said to strengthen your mana (or personal strength) as well and there are many groups who come throughout the week who come to help out. It pours rain for about 4 minutes now and the woman next to me offers me half of her shawl to hide underneath and just as soon and quickly as it started it stops. I am starting to feel like I’m on Lost. 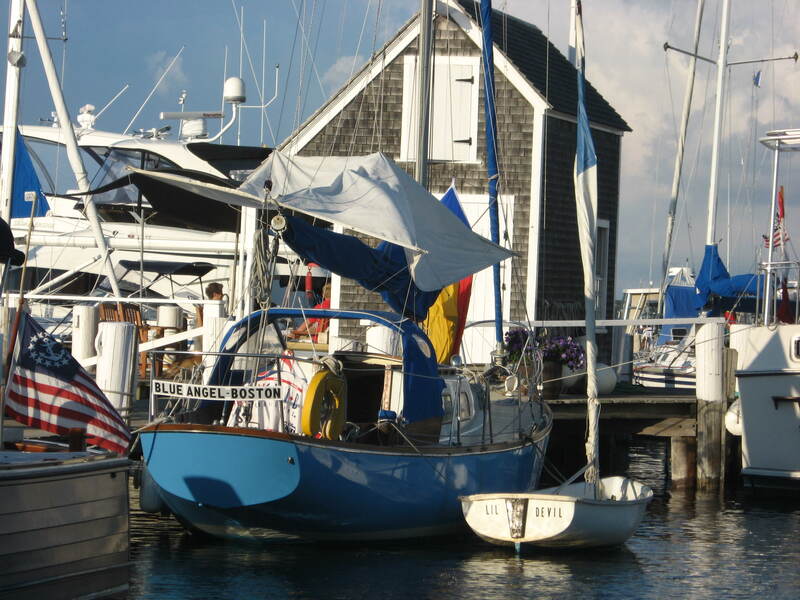 We walk around the grounds and learn about some of the legends of the space and the work that is done to preserve the area. As we are walking a woman from behind me asks, “Where are you a theta?” It turns out she is a theta too and she tells me how thetas here meet every week for Theta Thursday events. She asks for my email and says she’ll forward my name on to them. She is very kind and we say we will take a picture together later in the day, although it never happens. Back on the bus I am starting to get shaky. It’s about 2:00, the time the tour was supposed to end, and we have not eaten yet. It’s not looking promising. The woman sitting next to me is a little upset that she will have to miss her favorite heiau at Ulupo, the biggest, because she has to pick up her daughters. Maybe she notices I am getting shaky, maybe she just feels bad that we haven’t eaten yet, but in any case, she pulls some healthy snacks out of her bag and offers them to me. She lets me eat as much as I want and I start to gain some of my strength back. She says she can’t get her kids to eat these snacks so usually she just ends up eating them herself. When we arrive at the third stop she heads off to her car, and I start for a little while to see the ritual at the Ulupo. 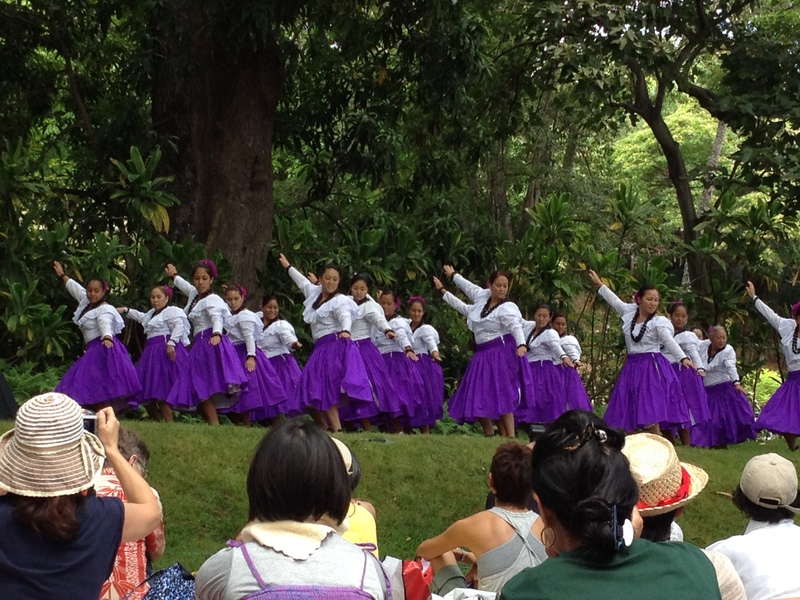 The girls do their PBC pipe number along the edge of the heiau and, unfortunately I have to leave before the little tour in order to catch my bus, but we’ve been given pamphlets that I will be able to read later. The street seems a lot longer on my way back home, but soon I’ll be back at my doorstep.